The revitalized railroad provides an efficient intermodal link between the Pacific and Atlantic ports and complements the existing hub transportation infrastructure provided by the Canal, the Colon Free Trade Zone, the Port terminals, highways and airports. 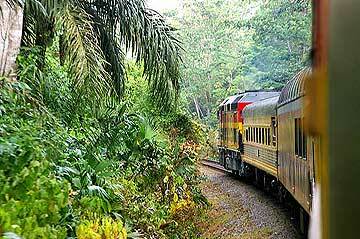 In addition, its luxurious passenger service allows travelers to enjoy a journey through the lush jungles of Panama flanking the scenic Panama Canal. 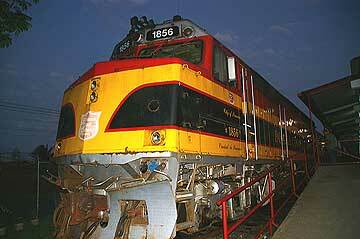 The Panama Railway or Panama Railroad was the world's first transcontinental railroad. It stretches 48 miles (77 km) across the isthmus of Panama from the Atlantic Ocean to the Pacific Ocean. 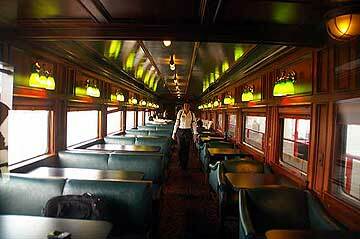 The Panama Railway was built during the period of 1850 to 1855. The infrastructure of this functioning railroad was of vital importance to the plan to build the Panama Canal decades later. Source: Wikipedia. Ask at your Hotel information desk for the tours available. Here is a list of travel agents that offer tours in Panama. Here you find some Photos from Panama and here other Nature Photos with many of them from Panama.